As we told our readers and iOS users earlier that soon they will be able to Downgrade iPhone 3GS and iPhone 3G iOS 06.15.00 Baseband to 05.13.04 Baseband with the latest release of Redsn0w 0.9.14b1 Tool. Now iPhone Dev-team has developed a working method for Apple iPhone 3GS and iPhone 3G users to fix their GPS issues and make it working with new Redsn0w 0.9.14b1 Tool, not only this with the new Redsn0w Tool iPhone 3GS and iPhone 3G iOS users will able to Unlock their devices by using Ultrasn0w method too. According to the well-known iPhone developer and hacker "MuscleNerd" the new Redsn0w 0.9.14b1 Tool will allow iPhone 3GS/3G users to downgrade the baseband on their iPhone 3GS and iPhone 3G from 06.15.00 to 05.13.04 Baseband with full unlock and GPS support, it will also allow them to use new iOS 3D Maps introduced in new iOS 6 firmware that makes extensive use of the device’s GPS capabilities. According to the iPhone Dev-team you must have an Apple iOS devices which are running the 06.15.00 Baseband i.e. Apple iPhone 3GS and iPhone 3G. Redsn0w 0.9.14b1 Tool will not apply to downgrade iPhone 4S, iPhone 4 or any other iOS devices running anyother baseband. Make sure to back up your iDevice in case anything goes wrong during the process. So let’s start to Downgrade iOS 06.15.00 Baseband to 05.13.04 Baseband of iPhone 3GS and iPhone 3G to Unlock and Fix GPS with Redsn0w Tool and Ultrasn0w Tool. If you have an iPhone3GS and if digits 3-5 of its Serial Number are 134 or later (xx134…), then you should NOT try to install the 06.15 baseband on your 3GS! It will brick your radio, preventing both the downgrade from working and normal iPhone software from using it as a phone! Be warned! Download the tool package provided above and then follows the following simple steps to Downgrade iPhone 3GS and iPhone 3G iOS 06.15.00 Baseband to 05.13.04 Baseband for Unlock and Fix GPS with Redsn0w. Step 1: Connect your Apple iPhone 3GS / 3G device to your PC or laptop via USB cable. Step 2: Download the latest version of Redsn0w 0.9.14b1 Tool, (Windows/Mac), make sure that you have the correct version of said tool for your operating system. Step 3: Unzip the contents of the downloaded compressed file and save to a familiar location on your PC or Mac. Step 4: Download the IPSW file of iOS which is currently running on your device, use the search bar on the right-hand side of this post to hunt for the required files. Once downloaded and saved to a safe location, move to the next step. Step 5: Launch Redsn0w and click on the Extras button on screen. Step 6: Now click on the Select IPSW option. Point Redsn0w towards the IPSW files which you downloaded in Step 4. If you’re already running iOS 5.1.1, then point it towards that said firmware and so on. Click on Open when you’ve found the required IPSW. Step 7: Redsn0w will now ask you whether if you have an older bootrom iPhone 3GS or a new one, read the on-screen instructions very, very carefully before you proceed, as it may potentially lead to the loss of data on your device, or may even brick your device’s radio for good. Step 8: Now go back to the main screen of Redsn0w and click on the Jailbreak option. After preparing the jailbreak data – which takes a little while – you will be presented to a set of different options. 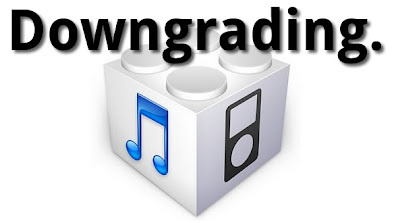 Step 9: Simply check the Downgrade from iPad baseband and Install Cydia options and click Next. 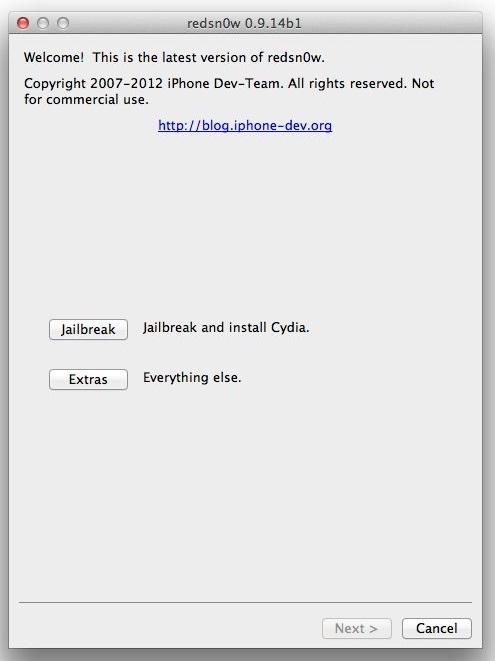 If you’re already jailbroken and have Cydia installed then you do not have to check the Install Cydia option. Step 10: At this point, make sure your device is powered off and unplugged. Read the on-screen instructions on how to put your device in DFU mode, don’t worry it might take a couple of tries to get it right. Once you’re ready, click Next. Step 11: When you’re into DFU mode, Redsn0w will do it’s thing and proceed with the downgrade of your baseband, don’t be alarmed as this step might take a while, so be patient. And best of all; do not touch your device during the whole downgrade process. Step 12: If you followed all the steps correctly, your iPhone 3GS/3G will reboot and will be on the unlockable 05.13.04 baseband. Simply launch Cydia and use the latest version of Ultrasn0w Tool to Unlock your iOS device. Congratulations!! Your iPhone 3GS/3G deivce has now successfully Downgraded from 06.15.00 Baseband to 05.13.04 Baseband.